When XBLA Fans Managing Editor Nick Santangelo asked me to pick up the review for Quest of Dungeons, I can’t say I was especially excited by the prospect. After all, I hadn’t heard of the game, and I’ve been getting a bit tired of playing so many pixelart games on my supposedly super powerful Xbox One – can’t we at least have, I dunno, 16-bit graphics nowadays? Anyway, it turns out that Quest of Dungeons isn’t actually half bad after all. 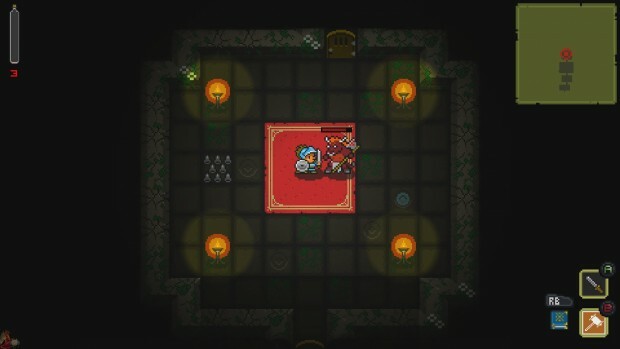 It’s essentially a roguelike, or as the developers description states, “a turn-based dungeon crawler,” in which a single player takes control of a Warrior, Wizard, Assassin, Shaman or Necrodancer (the last of which is unlocked after completing the game) and navigates through increasingly challenging floors of a procedurally generated dungeon. Class divide — A great feature of Quest of Dungeons is just how different each character is, or at the very least, how tactics and play style change depending on which character the player is in control of. There’s nothing truly unexpected here; the warrior is a melee fighter, the wizard a ranged spellcaster and the assassin and shaman somewhere in between, but as new skills become unlocked and the enemy challenge rises, using the correct tactic becomes more and more essential to success. 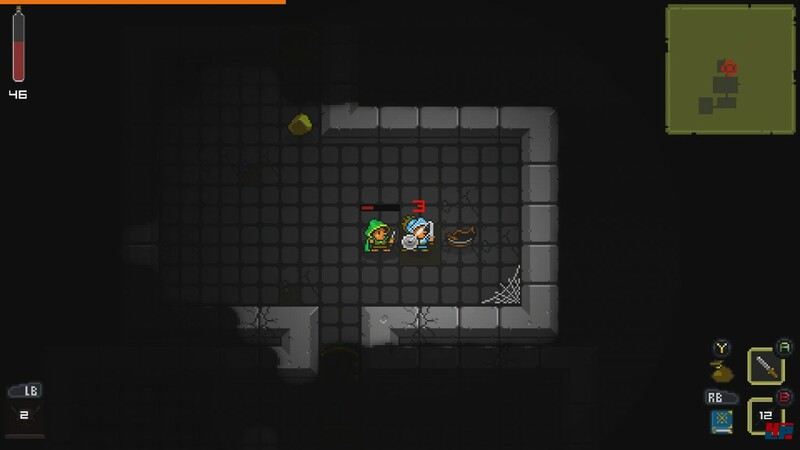 A roll of the dice — Quest of Dungeons features two procedurally generated dungeons which are based on a loose storyline, along with a third that has some elements of player customization thrown into the mix. Each of these dungeons is made up of many, many floors, and as you might expect, the further you descend, the tougher it gets. Aside from the overarching remit to descend through the dungeon, defeating bosses and acquiring new items, quests can be found on most of the dungeon floors that will provide a bonus for killing a specific enemy, or finding a certain thing. As these are procedurally generated too, they can be quite random, but will usually be worth pursuing in order to reap the benefits. After all, when you die in Quest of Dungeons, you’ll be starting again in a brand new dungeon with a brand new character. Eye of the beholder — Perhaps the main reason why I’m so tired of seeing 8-bit graphics on modern consoles is because sadly, I’m old enough to remember when games that looked like Quest of Dungeons were cutting edge. 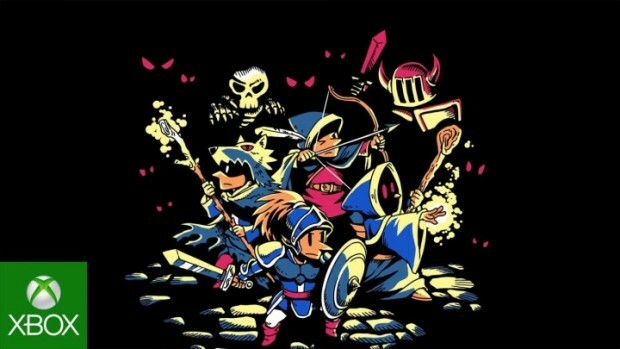 What is good from my perspective is that Quest of Dungeons rekindles a ton of nostalgia by harking back to classic games not only with of how it looks, but also with of how it plays. The level of challenge is firm (but fair) and rewards players who take the time to search every corner of the map and to think carefully about every encounter. It may look like Gauntlet, but it certainly plays a lot, lot smarter. Better with friends — Maybe it’s because it looks like Gauntlet, or maybe it’s just a fact, but I can’t believe that Quest of Dungeons is single player only. This game seems made for multiplayer, and it’s just such a shame that it’s not featured here. A roll of the dice (part 2) — Like every other procedurally generated game I’ve ever played, Quest of Dungeons has the occasional habit of creating scenarios which are impossible (or at least incredibly difficult) for players to overcome. Whether it’s a locked door which seemingly has no key, or a ridiculously large horde of enemies close to the spawning location (or stairwell on a lower floor) these things do happen, albeit rarely. In the end, I really enjoyed my time with Quest of Dungeons. It’s a game which was always an underdog in my mind, and so having approached it with zero expectation, I was able to appreciate its subtle depth and charming RPG-lite gameplay. 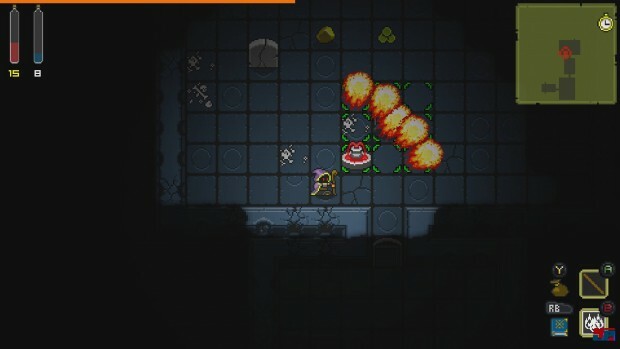 I was disappointed to find that there was no multiplayer, but in a similar way to Spelunky and other games in the roguelike genre, Quest of Dungeons is a game which lends itself well to passing the pad around a room full of friends over a few drinks. Quest of Dungeons was developed and published by Upfall Studios on Xbox One. It was released on September 4th, 2015 for $8.99. A copy was provided for review purposes.